What is a Burn Rate? Why Is It Important to Creative Entrepreneurs? When I coach new entrepreneurs, the one topic they hesitate to discuss is money. Stay with me for a moment. Everyone wants to talk about making money! That’s key. However, the process of understanding and managing your cash flow tends to make some new entrepreneurs a little bored. But, here is the deal — You cannot make money if you don’t understand your money. And one of the things you need to understand is your company’s Burn Rate. 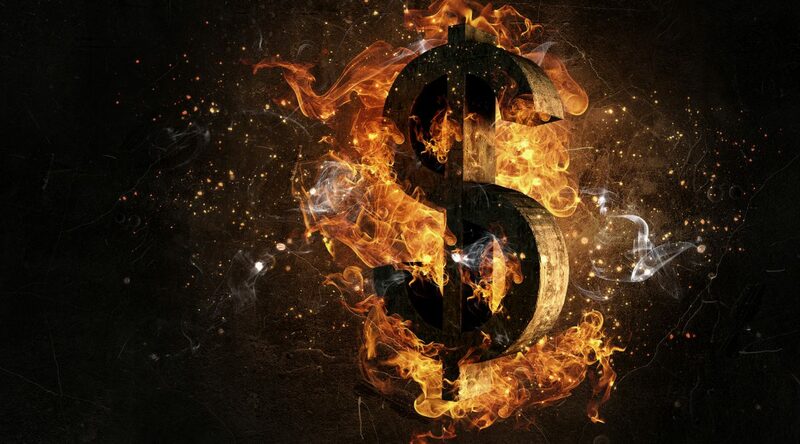 Many refer to a burn rate as the speed at which a startup will spend the money received from a loan or investor before that company starts generating a positive cash flow. But, if you have a seasonal business, as most creative entrepreneurs do, you will also refer to your burn rate often when referencing your negative cash flow during your slow season. Why? Because your burn rate will help you forecast when your business will likely run out of money. And knowing this helps you (the business owner) determine in advance if you need to take out a loan or develop a cash injection or figure out how you can reduce your monthly expenses. So, if your business’ slow season is coming up, sit down and figure out your burn rate as soon as possible. You don’t want to get caught off guard because not knowing your burn rate can definitely put your company at risk.